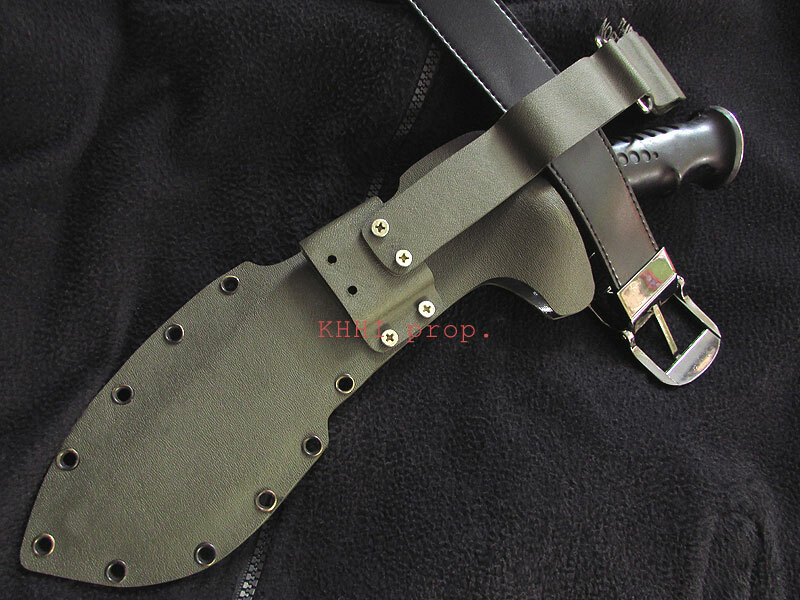 now with KYDEX sheath (water proof); the unique and extra-ordinary feature of this knife is the "Solid Rubber Handle"; never done before.. 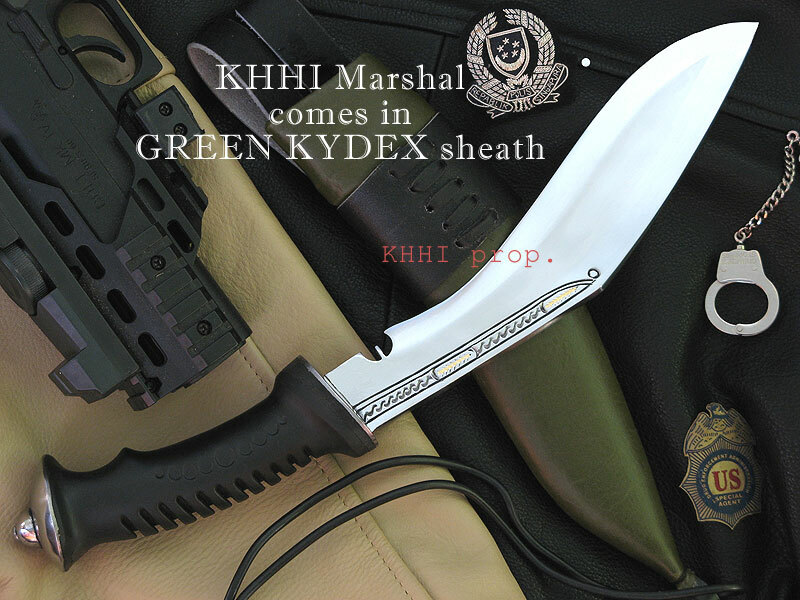 The ever increasing demand for a better handle (grip) in a kukri led to the invention of this knife, a complete one of a kind creation. It is the sheer outcome of hard work, determination and talent of KHHI’s diligent Kamis. 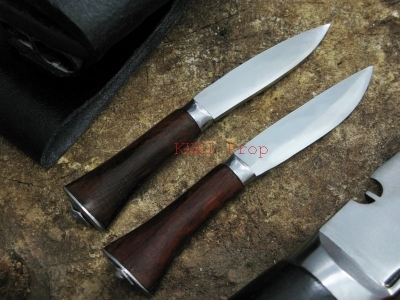 Unlike any other kukris in the world, the unique and the extra-ordinary feature of this knife is its “Solid Rubber Handle”. It is a genuine effort of our Kamis to craft something very gripy, easy, soft and more effective than the regular wooden or horn handles. The design is exclusively made to perfectly fit a user’s hand where the palm and fingers stays comfortably around the rubber handle giving a 100% balance even in harsh and wet conditions. The “Rubberwal” provides both cushion and caution to the user’s hand. As well, because of its superiority and dominance over other kukris, an interesting name “Marshal” is given to denote the character of the great Marshal force. 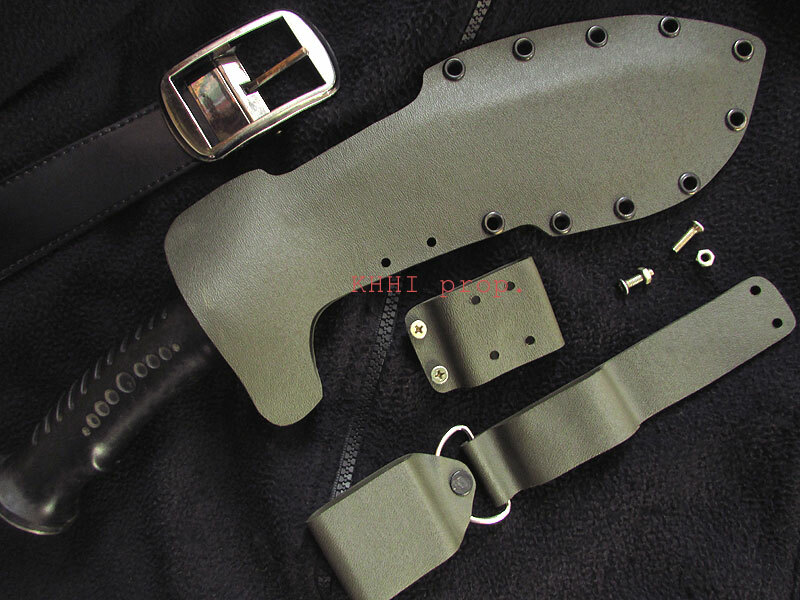 The scabbard of this knife is redesigned and now made in army green color *KYDEX sheet to give a stunning look, easy operation but more importantly, to make the whole knife a Water-Proof, all rounder- all terrain utility knife. The beautiful green sheath brings durability and is compatible to various army and trekking wear and gears.